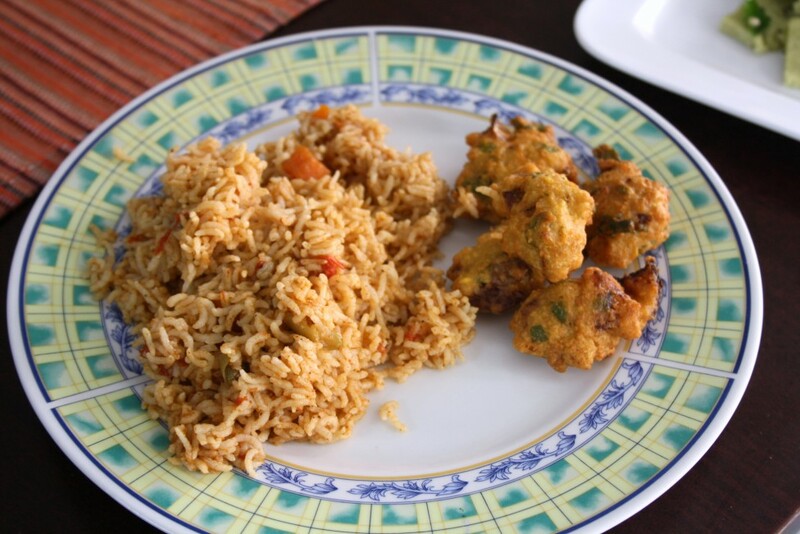 This makes a great snack with Vegetable Biryani that had a twist! Wash and soak the moong dal for an hour. Grind the drained moong dal along with green chilies to a semi coarse batter. Make sure you don’t add too much water. Mix in finely chopped onions and curry leaves. Heat oil for deep frying and using a spoon, gently drop in the batter and deep fry on both sides. Inviting and super crispy vadas, feel like munching some. I love these vadas and I'm sure they must have tasted yummy. These vadas are really delicious..here in Gujarat they are made from green gram..n are famous as street food..served with green chilies. Can have it with cup of tea. Delicious version of vada.Will be a great tea time snack..
Yummy. My Jain neighbor had taught me these once and of course they were onion free version served with green chutney.